Printable Letter P Pizza worksheet. Write the Letter P and the word Pizza in capital and small letters with a large delicious Pizza picture. This free Letter P printable worksheet is available in pdf. A to Z writing words and letters educational worksheets for children. 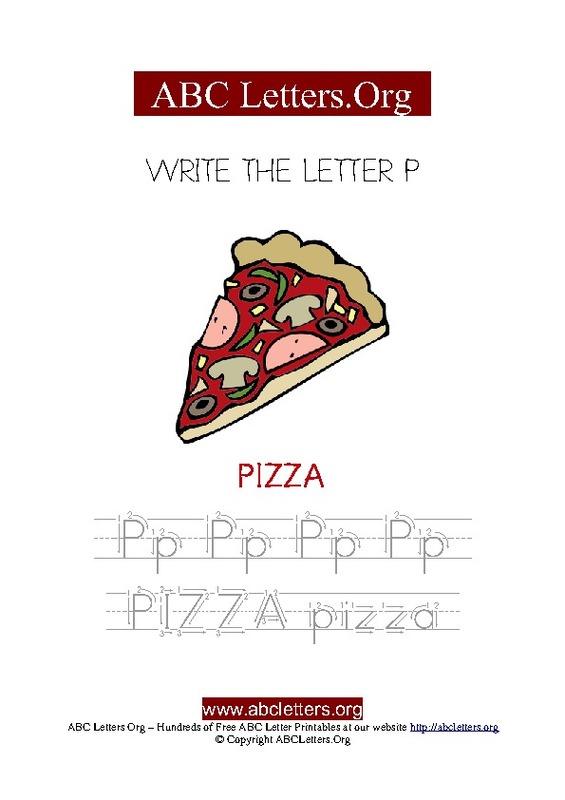 Print this free Letter P Pizza worksheet for children below. A picture of a delicious Pizza and the word Pizza below the picture. The Letter P in capital and small letters to trace with arrow guides. The word Pizza in capitals and small letters to trace with arrow guides. Step 2. Open the chart PDF on your web browser. Step 3. Choose "Save" to download the Pizza letter worksheet to your computer, or print it out from your browser.